Enterprise content management (ECM) systems are becoming more prevalent, and though many businesses are becoming comfortable with this software, there are still enhancements available that can provide even more value. 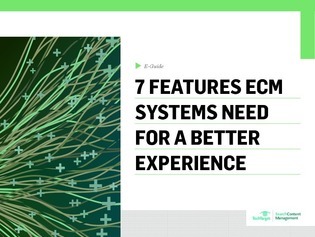 In this expert e-guide, discover 7 features that can improve your ECM system. To learn the remaining 4, access this e-guide now.